The NSK Surgic Pro implant rotary system is compact, lightweight and powerful to reliably deliver everything that professionals demand. 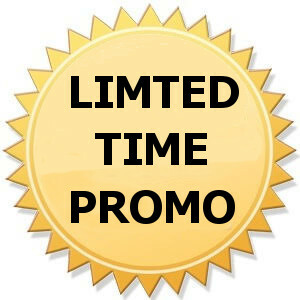 Excellent Promotions &Huge Savings – please enquire now for Best Offers available! The NSK Surgic Pro implant rotary system is a compact, stylish and fully integrated system incorporating the unique NSK Advanced Handpiece Calibration (AHC). By individually calibrating each handpiece to the micromotor, AHC absolutely guarantees accurate speed and torque control, consistent with the real time performance exhibited on the LCD. The inbuilt availability of a wide range of speed and torque settings allows Clinicians to use Surgic Pro with any implant system brand. Maximum safety through all speed and torque settings is without compromise. Shorter and Lighter than the Conventional optic surgical micromotor. This new surgical micromotor is 16.2mm shorter and weighs 42g less compared to the conventional optic surgical micromotor. Treatment data can be accessed and downloaded using a USB memory stick. You do not need to install any specific software as the data can be displayed with general-use software which can display csv or bitmap files. Large backlight LCD ensures clear visibility of all treatment parameters at all times. 3 levels of light intensity can easily be adjusted by the user (High/Low/Off) to suit treatment conditions. High Torque Accuracy Guaranteed – Use NSK Surgic Pro AHC to calibrates the micromotor and the handpiece to the rotational resistance of each individual handpiece prior to operation. AHC guarantees extremely accurate speed and torque for maximum safety during operation. NSK has designed a slim high performance irrigation pump. The pump is easily accessible and the irrigation line can be set up pump with ease. NSK Surgic Pro is pre-programmed with memories 6 major brand implant systems. Each program includes speed, torque, coolant flow, and rotational direction. New programs are memorized simply by pressing the Memory key. LCD shows remaining capacity of the built-in memory and the status.